Introduction: The trigger part is mainly for a Tower Defense meant for 1 or 2 teams. Some tweakage is required by you, if you wish to make a TD, where every players defends for himself/herself. Before we are going to make some real triggers, you have to know, what you are planning to create &#8211; creeps, towers, abilities and/or special features, twists. I am going to give a few tips how to do that. Firstly, open Excel (I tend to create my notes, plans in excel or in word, but pencil and paper or text editing programs will do, too.) and create 6 columns named creep, level, HP, special features, movement speed and armor. For planning towers, open sheet 2. Now create 7 columns named tower, cost, damage, attack, cooldown, upgrades to and special features. Now remains only the issue of thinking out the towers, and filling the table. (I find thinking out things as amusing as creating them in WE for real). The keyword for team defenses is symmetry. You want to give all the players equal opportunities, which makes game play fair. Before starting, decide how many players your TD is going to have. The one in this tutorial will have 8 players. 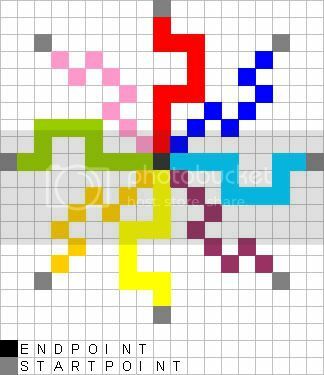 After deciding that, I'll make a sketch drawing of the pathing map, considering it has to be symmetrical for 8 players. I used Excel, so no drawing skills required to do this simple sketch (Row and cell width are the same). As you see, I have marked the starting positions and end point. Now, being happy with the result, I'll make it for real, in WE. If you are viewing this from the world-editor-tutorials, then click here to continue to Part II - Object Editor and Part III - Triggerwerkz.